Another key to taking elk on public lands is that once you find him, you have to be committed to do whatever is required to take a good bull. When I leave to go elk hunting, I pack my backpack, expecting to spend one or two nights in the woods. 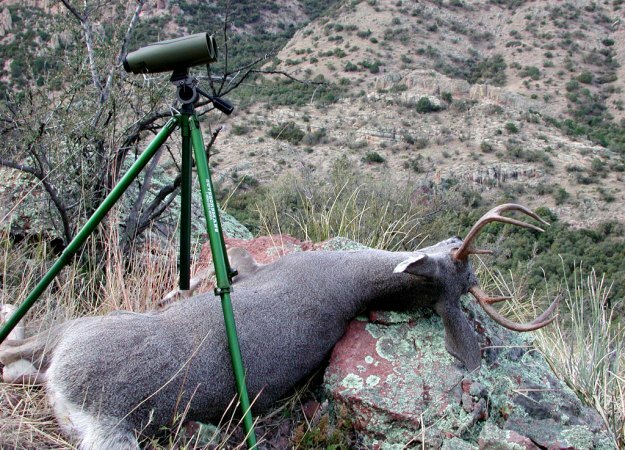 If I find a bull I want to take, you need to stay with him and increase your odds for getting a shot. My little brother, 28-year old Darren, packs to stay in the woods a week. In the last 5 years, I've seen more archery elk hunters in the woods than I've ever seen since I've been hunting. 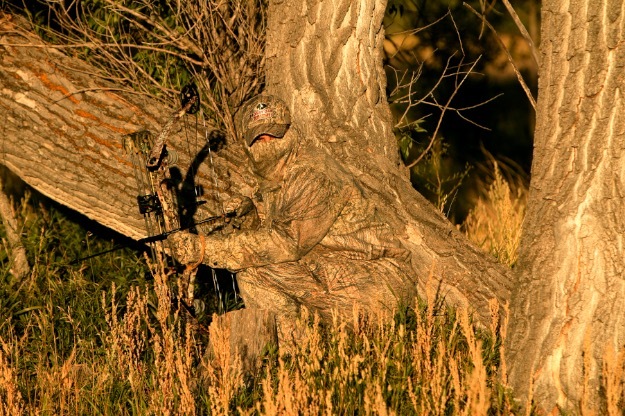 I think this influx of elk bowhunters is partially due to the fact that bow companies have started building faster, more-accurate bows than we’ve had in the past. Also, we've got better sighting systems than we’ve had in the past, and more and more archers are practicing shooting at 100 yards and even more. 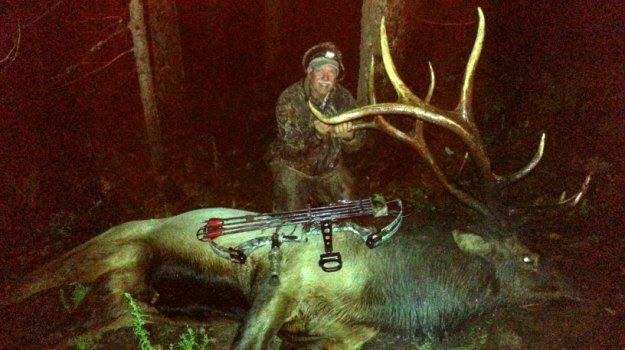 So, they feel much more confident elk hunting with a bow than they did 5-years ago. That’s why I’ve learned how to hunt the places that no one else wants to hunt. 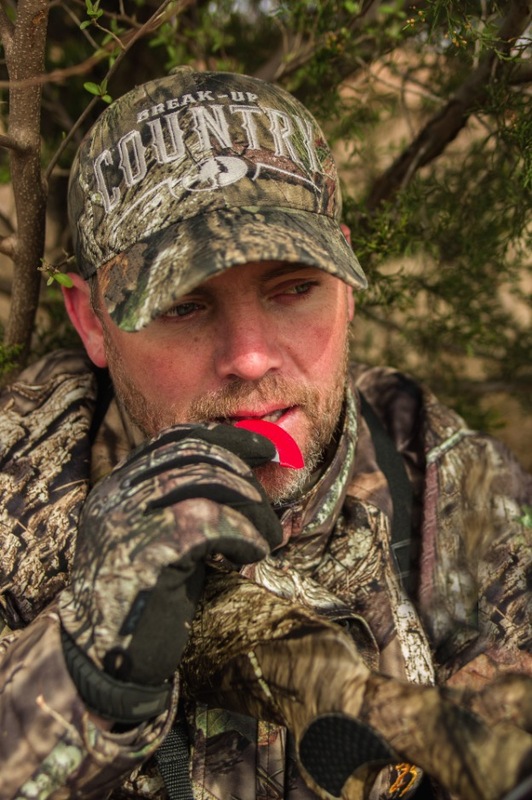 I've also been hunting long enough and spent enough days, weeks and months in the elk woods that I can tell the difference in a manufactured call and a live cow or bull call. If I'm in an area, and I hear another hunter calling, I’ll just quietly sneak out of there. My brother Darren uses a Badlands frame pack (www.badlandspacks.com), and I use an Osprey. We also have some old aluminum frame packs. Before we leave the house, we expect to put in the work required to carry an elk out from those gnarly places. If I'm hunting by myself, I’ll put meat in my pack, put a quarter on my shoulder and plan to make multiple trips to get the elk out. Most of the time, I bone-out the meat where the elk falls. On the front quarters and the hindquarters, we usually cut the knees off, disconnect the ham at the socket on the spine and take the quarters out. We bone-out the neck meat, the tenderloins and all the other meat. I usually anticipate having to make three trips to get my elk back to the truck after I take him. The meat in my pack and the quarter on my shoulder usually will weigh about 80 pounds. I have carried as much as 110 pounds in my frame pack. I walk relatively slow, climbing over the downed timber. The last bull I took really broke all the rules that I've set-up for elk hunting. 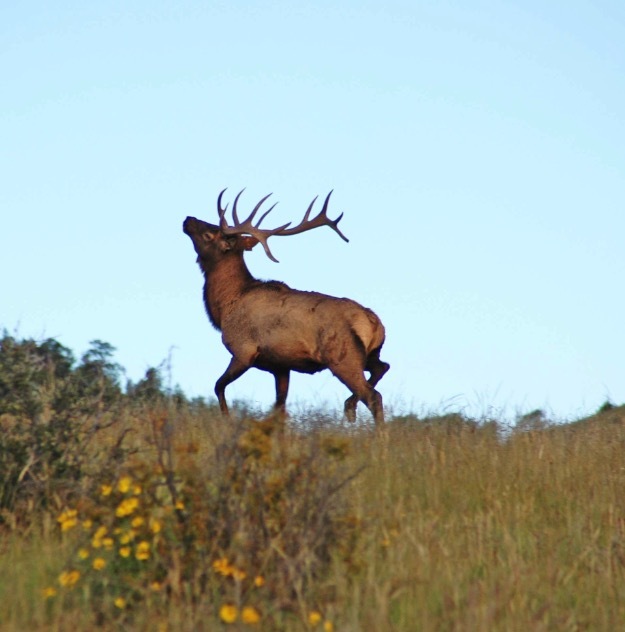 A friend, David Richter, and I located a spot close to our homes that absolutely had no reason for an elk to be there. 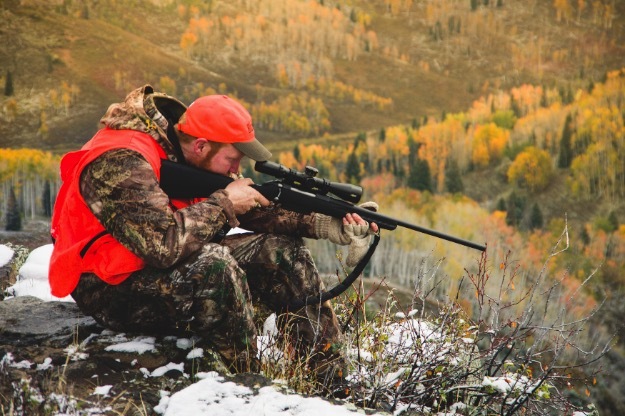 The place was really public, but we believed it had been overlooked by most elk hunters. When you looked at it, you would say, “There's no reason in the world an elk would be in this spot.” You can see this place from a main road, and a little hiking trail runs through it. When you walk up the hiking tail, you will walk through this area and keep going until you see more open terrain where you think your chances of seeing an elk are much better. We went up this trail, we looked to the right, and we saw a small grove of aspen trees surrounded by acres and acres of dark timber. I look for aspens in bad places, because aspen trees only grow where there’s a lot of water in the ground. Aspen groves home different vegetation from other types of terrain, and usually home places where the elk can get water and wallow. I don’t think the hunters who walked past this spot to get to the high mountain meadows could hear an elk bugle in these acres and acres of dark timber, because we couldn’t hear an elk bugle from the trail. On the day we went in to hunt this spot, we passed three other hunters. Two of the hunters were going up to the high meadows, and one hunter asked us, “Where are you going to hunt, so I can hunt in a different direction?” I asked him, “Where are you hunting? We will go somewhere else to hunt.” When we finally got into a region where I thought we should find elk sign, we didn’t. We started walking up this drainage hoping to locate benches on the side of the mountain. Finally, we found a big wallow. Not far from the wallow, we found a pond where the elk had been drinking water. 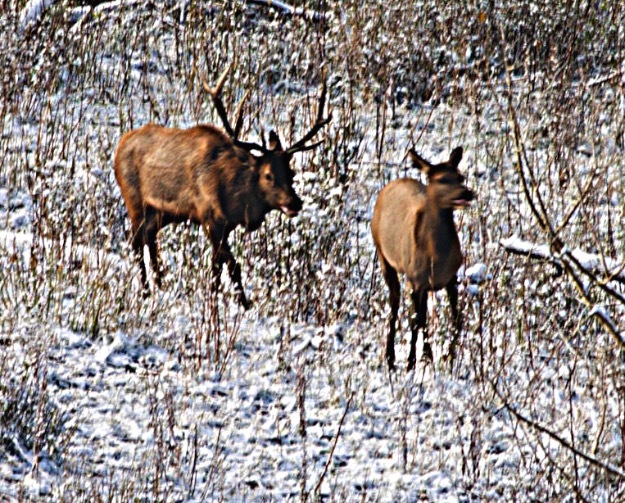 The pond was muddied-up, so we knew the elk already had drunk there that morning. We had missed them. They probably had all gone back up the mountain. We studied the trail that came to the pond and decided to follow it until we found a place where we thought the elk were bedded. The place we discovered was a real-steep, north-facing place with a lot of timber – particularly dark and nasty, fallen on the ground. On the way to that spot, we started hearing elk bugle. Although it was still early in the morning, the weather was really hot. David and I got as close as we could to where we thought the elk were bedded Every time we heard the bull bugle, the sound was coming from the same spot, and the bugle wasn’t very loud. So, we felt confident that the bull was still in his bed. We decided to set-up, take a nap and wait until late evening when the elk should start coming down going to water. Late in the evening, we tried to cut the distance we were from the bull in half. We began to call, rake trees and roll rocks down the steep slope. We wanted to sound like a herd of cows going to the bull. The first elk we saw was what we believed to be the lead cow, and we let her walk past us. Then a small bull passed us. I heard David whispering, “You ought to go ahead and take that small bull. It’s been 3 years since you’ve taken a bull, and we may or may not get the bull that’s bugling behind him.” I decided that David was right. So, when the small bull stopped at 20 yards, I released my arrow. But the bull went some distance before he died right at the edge of a vertical cliff. If that bull had rolled or kicked, he would’ve probably gone over that cliff and landed at the bottom. That would have been a tough place to get him out. We carried the bull I took out. As far as I know, the big bull is still in that little out-of-the-way place, because we never went back and hunted him. As I've mentioned, I took my first big bull that netted 360 points in Unit 27. I didn’t draw Unit 27 again until 2008. Because I had hunted Unit 27 before, I had developed some places that were my go-to places. I'd either taken bulls there before, or I’d seen bulls at these places in past years. 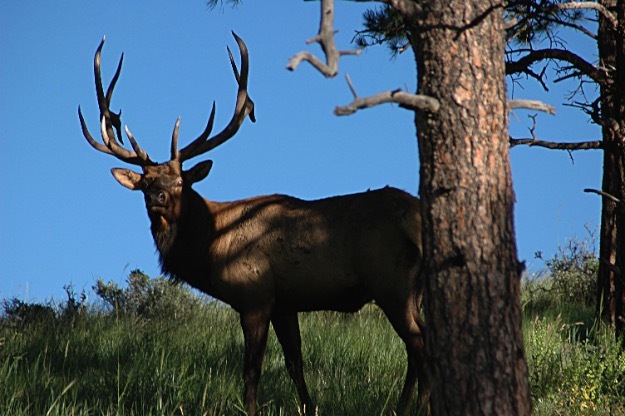 I like to call a lot and locate as many elk as I can when I'm hunting.